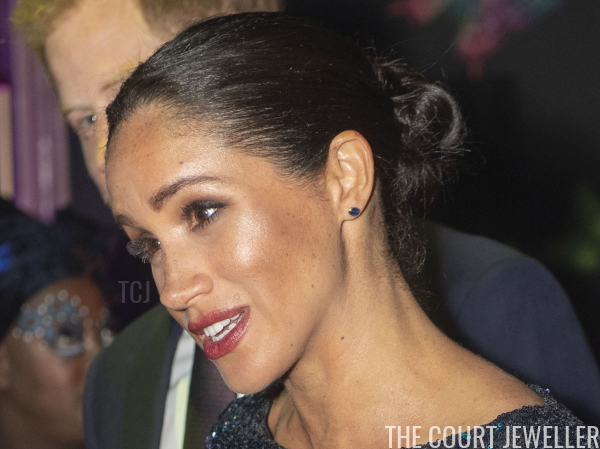 The Duke and Duchess of Sussex attended the premiere of a new Cirque du Soleil show in London on Wednesday evening at the Royal Albert Hall, and Meghan brought along a little old fashioned Markle Sparkle with her. 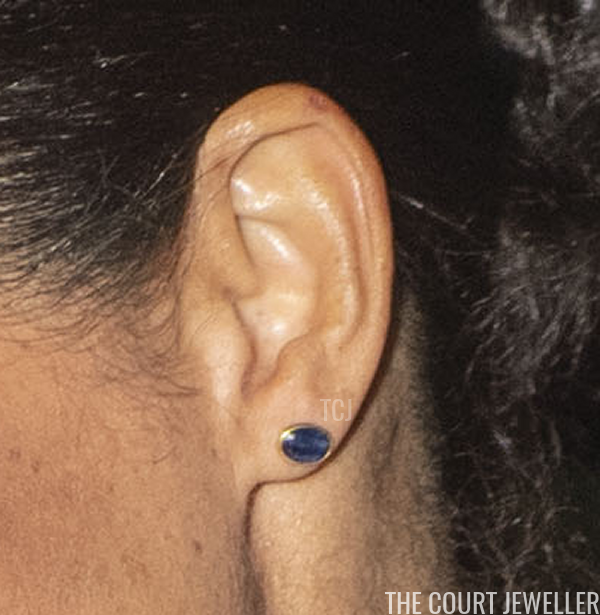 With her navy sequinned gown, Meghan wore a pair of gleaming stud earrings. The stud earrings feature bezel-set cabochon gemstones, perhaps sapphires, in yellow gold. 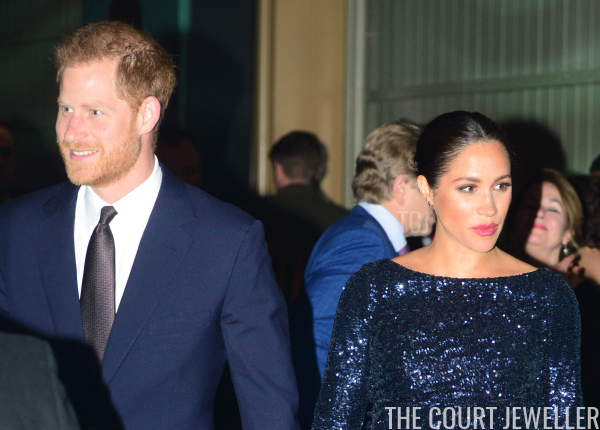 Here's a look at Meghan's entire ensemble for the evening, which was a benefit for Sentebale, a charity that Harry co-founded over a decade ago. The performance raised money to support children and young people in southern Africa who are affected by HIV.